Life in Port Charles has settled down since the 50th anniversary celebration – and I’m not exactly basking in the love. ‘General Hospital’ is markedly better now than it was under Bob Guza’s reign of terror – or Garin Wolf’s confused melee of madness – but I’m not exactly thrilled with everyday life in Port Charles. I’ve been a fan of soaps long enough to realize I’m never going to love every story or every character – but I’m pretty much at 50-50 right now. GH is keeping me as a viewer because I’m enjoying seeing Luke, Laura, Scotty, Anna, Duke, Nikolas, Mac and Felicia. While they’re never going to truly lose me as a viewer – I do have characters like Sabrina, Britt, Ellie, Spinelli and Connie on fast-forward. So, what are my biggest problems with Port Charles right now? 5. Ellie Trout – I know she has her fans, and she has potential, but she has some irksome qualities. First off, I find Spinelli so annoying that anyone with him in a scene irritates me. I think she would be more entertaining if they paired her with someone else – Milo, for instance. I’m never going to root for any Spinelli pairing – and this includes her. Second, I found it refreshing when Ellie said she didn’t want to have children. As someone who has been saying that since I was 14, it was nice to see someone feel the same way. As a counterpoint, though, Ellie is also supposed to be a medical professional. It is none of her business what Maxie is doing – or why she is doing it. She could – and should – lose her medical license for breaking into Maxie’s records. It’s sad to see a character with potential relegated to a prop standing in the way of Maxie and the most annoying character in GH history. 4. Nikolas and Liz – This was one of the biggest couple mistakes GH ever made. I like both actors involved in this story immensely – but I’m never going to get behind Nikolas and Liz. They do have chemistry, but it’s still like watching a brother and sister flirt with each other (or peck each other to death). Liz’s heart will always belong to Lucky (although I’m willing to watch her try to move on with AJ) – and Emily was Nikolas’ soul mate (and Liz’s best friend). It’s altogether icky. The only worse pairing in GH history was Emily and Sonny – the aptly named Soily. I’m onboard with AJ and Liz – who have equally sparkling chemistry. If Nikolas is staying, resurrect Emily (why not have her be a popsicle in one of Stavros’ freezers?) and help bolster the Quartermaines and Cassidines at the same time. Make her pregnant when she disappeared and that’s why Helena took her. Who doesn’t want a Quartermaine and Cassidine heir? personality. ‘One Life to Live’ overused the DID angle, too, but at least I liked all of Viki and Jessica’s personalities. I can’t stand either of Kate’s. Believing Sonny would put up with this madness is a stretch – and not a fun one. Maurice Benard looks like he’d rather be anywhere but where he is when he’s in a scene that involves talking about multiple personalities. Bring back Brenda, send Sonny and Brenda off into the sunset where they belong, and let it go. Sonny and Kate are not only painful to watch – but they’re chemistry-free, too. I don’t see the purpose of having Kate (or Connie) still in town. 2. NuLulu – I know the actress has her fans, but I’m feeling a huge disconnect with Lulu right now. Julie Marie Berman was not only talented and warm, but she looked like her onscreen mother. The new Lulu is shrill, her features are a little sharp for her face, and there’s nothing warm about her. I know that Lulu is supposed to be removed from her life – and we’re supposed to be reintroduced to the character as she rediscovers her life and reconnects with her husband – but it’s not working for me. First off, Stavros had Lulu for like four days. I’m not exactly sure how he did so much damage in such a short time, but this is clearly a retread of Jessica on ‘One Life to Live.’ I’m just glad Lulu doesn’t have a sister for Dante to sleep with. If he starts looking at Nikolas in that “special way,” though, I’m going to have a fit. I haven’t given up on NuLulu yet – but I’m definitely not feeling the same love for the character that I used to. over. The writers had her go from the most immature character on the canvas – this includes baby Danny – to the most mature overnight. Apparently, once she shed her glasses, she was an entirely different person. I am beyond sick of the Sabrina propping. They even had Carly doing it on Friday. I’m just waiting for Robert to wake up from his coma and say “Forget Robin! I’m going to adopt Sabrina.” I don’t care what kind of rewrite you do with this character – whether she’s the lost Quartermaine heir (or Ellie is), I’m never going to like her. I’m never going to root for her pairing with Patrick. I’m never going to want to do anything but fast-forward through her. Well, actually that isn’t entirely true. If you kill her off, or have Robin return to town and smack her around a little bit, I’ll totally be into it. Let’s start the movement now: Bring Home Robin in 2013! What do you think? What is driving you crazy about ‘General Hospital’ right now? When is your favorite show ending? You know the one. The one where your favorite network show wraps up for the season – abandoning you for the summer months and not returning until late fall. So, when is your favorite show airing its season finale? What do fans want to see before ‘Once Upon a Time’ finishes its second season? 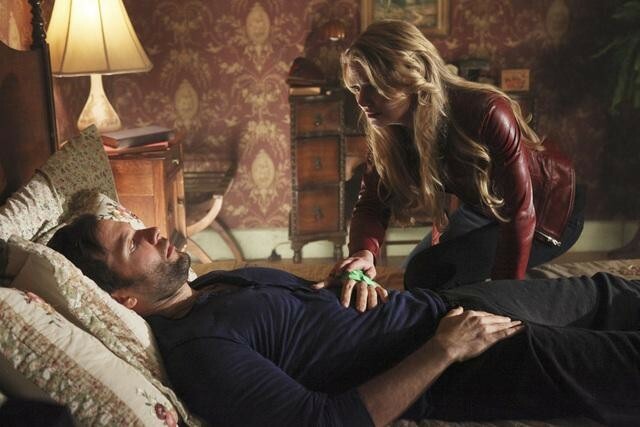 The second season of ABC’s fantastical ‘Once Upon a Time’ can’t be considered a total failure. Sure, the show hasn’t lived up to its first season hype – but that happens to a lot of shows (The Walking Dead, Game of Thrones) and the show still rebounds and thrives. I think the biggest mistake the show made was separating the core family from each other for half the season -- especially before they could spend time together as a unit. The final slate of season two episodes kickoff Sunday – and fans have a lot of questions on their minds. - -not just from Emma, Rumplestiltskin, Snow, David and Regina. While I do love the main five, I’m also attached to secondary characters , especially Ruby and Grumpy. I don’t want to see them constantly pushed to the side. 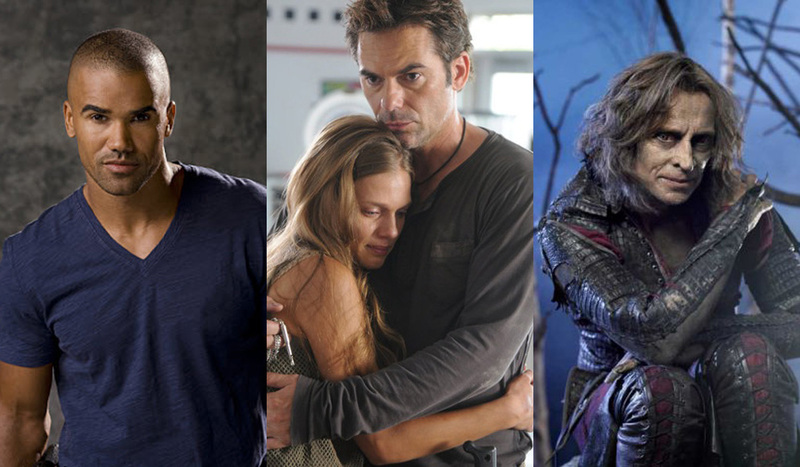 ‘Once Upon a Time’ has a large cast – let’s not push all the secondary favorites aside in favor of the new characters. I think there’s room for both. Their history is just as important as the core family's history. 4. 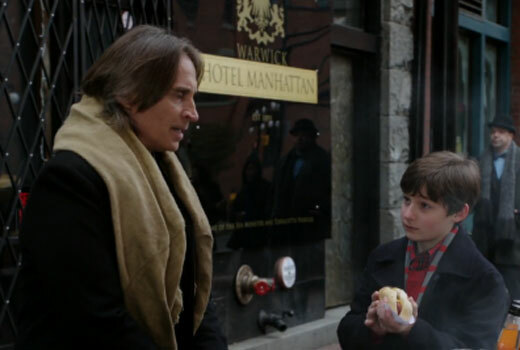 Neal and Emma: As much as I loved Graham – I’m firmly on the Neal and Emma train. I love the chemistry and history between the duo. I don’t want a happily ever after right away – I do want them to work for it – but I also want to see some bonding between the two. They share a child - -and yet Neal and Emma have never really sat down and talked about what transpired between them – or why Neal really left. think I’m so addicted to her romance with Charming because of Goodwin herself. Although, to be fair, it doesn’t hurt that Goodwin and Charming portrayer Josh Dallas are involved in real life. That just kind of adds to the mystique. My problem with this story, though, is that Snow White suddenly having a black heart – simply because she wanted revenge for her mother’s death – doesn’t exactly ring true to me. Let’s end this story quickly. 2. Kurt Flynn: I’m betting that Greg’s father is still in town – and Regina probably hasn’t been very nice to him over the years. 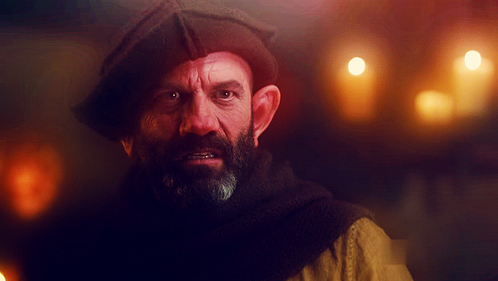 Quite frankly, I like John Pyper-Ferguson as a performer – so I’m hoping he sticks around Storybrooke. I’m guessing that the reunion between the two isn’t going to be as happy as Greg/Owen hopes. And, when it happens, I think Regina is going to be in for a whole pile of retribution from Greg. Pinocchio’s story to be more sad than redemptive. Sure, having Pinocchio being reborn into a child again was a way to keep the character on the show – but adult Pinocchio is a lot more interesting than child Pinocchio. We need to see his ties to Tamara – and her ties to Ethan Embry’s Greg. That duo looks to be a lot of trouble for Regina – and Neal, for that matter – but I would still prefer it to play out with an adult Pinocchio. What do you think? What questions do you want answered before the second season finale? If the fate of ‘All My Children’ and ‘One Life to Live’ was a soap opera – I would guess that the back from the dead story wasn’t going very well. Earlier this week, Prospect Park sued ABC for $25 million over their licensing agreement with the network over the cancelled soaps. For those that need a quick recap, Prospect Park licensed the rights to the two soaps when ABC announced their cancellation almost two years back. At first, Prospect Park was trying to get another network to pick up the shows. When that failed, the production company also failed to secure the financing they needed to bring the soaps to the air – and the project was considered dead in the water. When that happened, ABC brought several OLTL actors on board – as their Llanview counterparts – to offer something to heartbroken fans. Suddenly, things started to get interesting between the two sides. Prospect Park wanted the three characters – who had been on ‘General Hospital’ for the past year – back and they wanted the original actors to move online. The problem with this was that none of the actors wanted to return to OLTL. I know fans have conspiracy theories about why this is, but the truth is, you get more exposure on a network, all three actors had moved to Los Angeles (including their families) and they didn’t want to move back to the East Coast, and they got more money on GH. The two sides tried to hammer out a deal. Essentially, Roger Howarth agreed to do double duty on the two shows – a move that would allow his character Todd Manning to move between both locales. Michael Easton and Kristen Alderson, though, were adamant they did not want to return to OLTL. Talks between the sides broke down – and all three characters were forced out of Port Charles. A few weeks ago, ABC announced that the three actors would be returning to GH as new characters. This allowed OLTL to have their characters back – but not the actors that made them popular. Whew, I know, it’s a lot. Prospect Park is arguing that they only lent the characters to ABC on a limited basis – and with the stipulation that they have input into storylines. They claim that ABC ignored that part of the agreement for a year – and they’re specifically balking at GH killing off Cole and Hope. Here’s the thing, I obviously haven’t seen the contract between the two sides – so I can’t get into any specifics. If ABC agreed to let Prospect Park have control over the OLTL characters and then didn’t do it – then they are in breach of contract. However, if that wasn’t in writing, then I don’t really think Prospect Park has a leg to stand on. The argument that Cole and Hope were killed off is kind of a lame one. This is a soap people, bringing characters back from the dead is what they do. Also, that happened at the very beginning of the characters’ run. Why is Prospect Park just complaining now? This happened a year ago. My take – and this is just my take – is that Prospect Park is setting itself up to be the victim when they fail with the online versions that are set to debut on April 29. The new format of the shows are vastly different from what soap fans are used to (and there is very little buzz associated with the launch). Not only are the number of episodes limited, but so are the casts. For example, AMC has Zach, but no Kendall. OLTL has Viki and Natalie, but no Jessica. When you compound that with the fact that a lot of the characters have been recast with cheaper and younger “talent” – and I think you’re looking at alienating a lot of longtime fans. I think a lot of older soap fans – and that is the bulk of the soap opera audience – aren’t going to take the time to tune in to soaps online. Maybe, if OLTL had just went off the air, things might be different. The simple fact of the matter is, though, that people have lived without OLTL and AMC for more than a year. They’ve learned they can live without the soaps – and it’s not part of their everyday viewing experience anymore. I do think some people will tune in online – maybe even a solid number for the debut – but I expect the numbers to be fairly dismal after that. shows now, though. They’re essentially borrowing them. This lawsuit could essentially be a way to drum up interest in the online soaps, too. You know, any publicity is good publicity and all that? ABC does not have to extend a leasing agreement with Prospect Park – and it seems Prospect Park is shooting itself in the foot by filing this lawsuit. To me, that signifies they are acknowledging that the online versions probably are going to be a failure. As someone with the time – and means – to watch both AMC and OLTL online, I actually have no interest in tuning into either. For background, I’ve watched both soaps since I was a kid – and I was especially attached to OLTL. Still, though, I said my goodbyes to both soaps. Prospect Park has an uphill battle – and it’s one I’m pretty sure they’ll lose. If they have concrete evidence of ABC actively trying to make sure they fail – which doesn’t really make a lot of sense to me on a monetary front – then why didn’t they make it public before? I will watch the ongoing legal battle unfold with a great deal of interest – and not just because I watch a lot of court cases in real life. What fans don’t seem to understand is that this lawsuit could be years and years down the road. By the time it’s settled, Prospect Park’s licensing agreement with ABC will probably be over and both online soaps will be gone. Heck, at the rate things are going, GH could be gone, too, by that point. I know fans of OLTL and AMC are siding with Prospect Park – but I honestly can’t see how Prospect Park expects to win this court battle. I guess we’ll just all have to wait and see. As it stands, AMC and OLTL return to the Internet on April 29 and Easton, Howarth and Alderson return to GH as new characters (rumors suggest a Morley descendant, a Cassidine and a Serena Baldwin recast respectively) in May. And they said soap operas were dying. What do you think? Who is in the wrong and who is in the right in the ABC and Prospect Park battle?